As I try to get back into the swing of things and balancing work and home after vacation, along with the heat of summertime, I am trying to get back into the kitchen as well, even with the weather may make for some sticky days in the kitchen (thank God for air conditioning!). 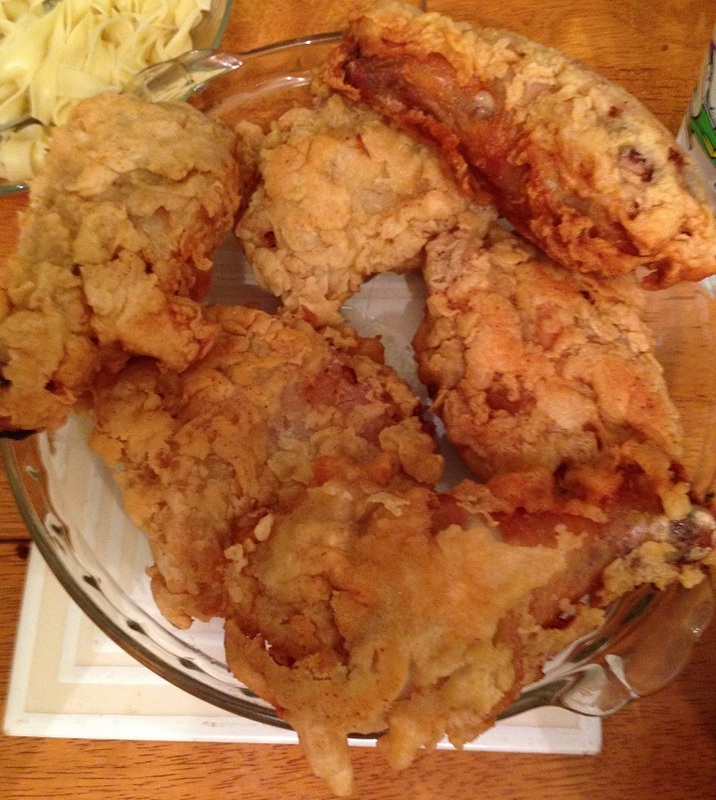 I have really felt like have fried chicken lately and I always have plenty of chicken pieces on hand but I wanted to try a recipe that would be a little bit different from those fried chicken recipes I have tried in the past. I came across this one from Saveur magazine for an extra-crispy fried chicken that makes a flavorful brine to put the chicken in ahead of time and then does some double coating with a special batter to make things super crunchy. Boil a ¼ cup of the kosher salt and 1 tablespoon of black pepper with the honey, sugar, cloves, parsley, thyme, bay leaves, lemon zest, and lemon juice, plus 6 cups of water in a 4-quart saucepan until the salt is dissolved, about 5–7 minutes. Remove the brine from the heat and let it cool completely. Add the chicken to the brine and cover; refrigerate overnight. The next day, drain the chicken, rinse it, and pat it dry well with paper towels. Whisk 2 cups of the all-purpose flour and half each of the granulated garlic, cayenne, onion powder, and paprika with salt and pepper in a bowl until they are combined. In another bowl, whisk the remaining flour, granulated garlic, cayenne, onion powder, and paprika with the baking powder, salt, pepper, and 2 cups of water into a smooth batter. 3. Pour enough oil into a large Dutch oven or cast iron pan to reach a depth of 2 inches. Heat the oil until a deep-fry thermometer reads 300 degrees. Working in batches, dredge the chicken in flour mixture, shaking off any excess, then dip the chicken in the batter, and then dredge the chicken again in the flour. Fry the chicken, flipping the pieces once, until the chicken is golden and almost cooked through, about 7–8 minutes, or until an instant-read thermometer inserted into the thickest part of the thigh reads 150 degrees. Transfer the chicken to paper towels to drain. 4. 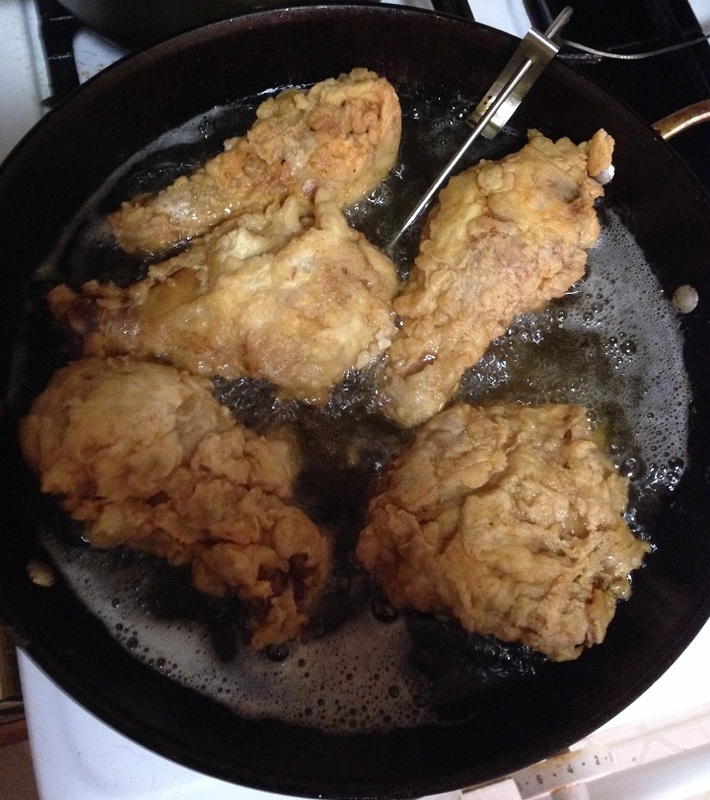 Increase the oil temperature to 350 degrees and fry the chicken again (working in batches again if needed) until the chicken is crisp, about 2–3 minutes more; drain the chicken on paper towels and season it with salt and pepper to taste before serving. The coating from the flour and batter is really crispy and wonderful and the chicken comes out perfectly moist underneath the crust. The brining really helps here so if you have time to do it you should. It helps the chicken and adds some great flavor as well. 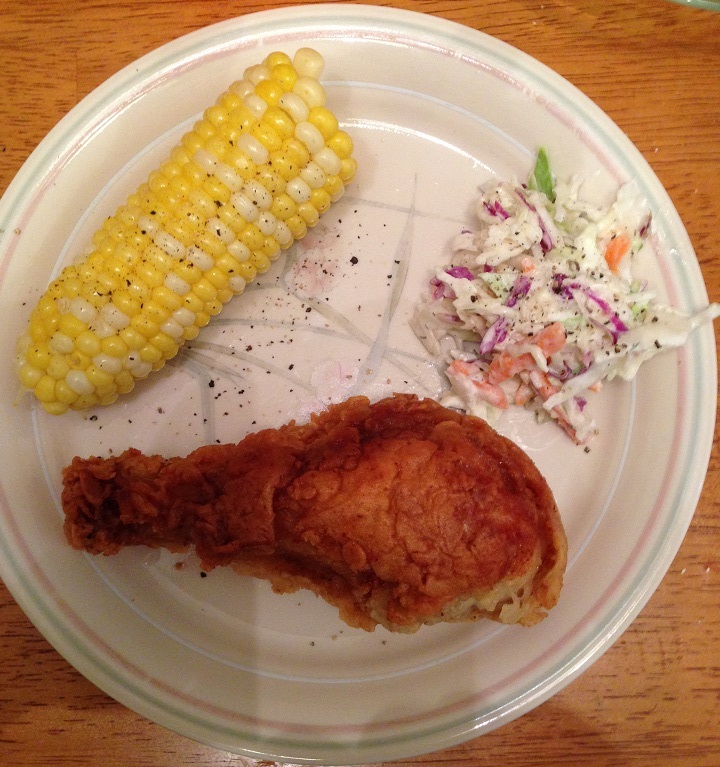 I served the chicken with some homemade coleslaw and corn on the cob to make it a great meal. I used only thighs and drumsticks for my meal, but you could use any combination you like and it will work well here.